Do you have an avid passion for an electric skateboard? Luckily, there are numerous brands that have been working to give you the fastest electric skateboard ever made for you to enjoy! Common brands include Meepo, Wowgo, Boosted, etc. Get yourself your personal transporter that will work on electricity. Numerous electric skateboards have been launched which allow users to control the speed along with making several adjustments for better control. If you have made your decision to purchase an electric skateboard it’s not wise to go to the market without knowing about the respective features and brands that are working in this regard. We know you are excited, but better not purchase something that is not fit for you. Here is all you need to know about electric skateboards before you go to buy one! If you ask around and take expert opinion probably the two most trustable options will be from Meepo V2 and WowGo 2S. There are tonnes of reasons why these can be categorized as the best. Know more about it below. The first on our list due to obvious reasons is the one from Meepo V2. The most comfortable and fun electric skateboard that comes with shredder trucks ideal for an exciting riding experience. Meepo V2 has V2 urethanes motors that are super powerful, 800 Watts It is among the most wanted electric skateboard which can reach a top speed of 29 mph. It has a real-world range of 11 miles that makes it super-fast. With charging time of no more than 2 hrs, Meepo V2 will be able to take you up to 11 miles. This board is the latest and the trendiest article of Meepo. An excellent choice for beginners who want to try something out of the box with several exciting features. Next in line, we have Wowgo 2S electric skateboard that is the best option for you if you really want an electric skateboard that fulfills all the criteria but also wants to stay under budget. Wowgo 2s gives you excellent quality and high performance altogether. It has an ergonomic design which makes it fit for all-purpose use. Zealous braking provides a more controlled ride. WowGo 2s does not restrict users depending upon their weight. Heavyweight users are also free to ride even uphill. The concave and convex deck will give the perfect riding feeling. Wowgo 2s has played particular attention to details where all the features are thoroughly reviewed to provide you withprovide you with the best version you are looking for. Another top-quality electrical skateboard that deserves a huge shout-out. The major selling point of this electrical skateboard is that it provides stable control and natural torque moments. The brakes installed in Ownboard W1S are strong which ensures safety. Can easily climb hills at decent speeds without heating up. The first on our list of seven best electric skateboards is this awesome skateboard from Boosted. The best thing about this electric skateboard is that it can withstand weight ranging up to 250 lbs which means chubby people can also enjoy the ride. Moreover, this electric skateboard is fast and durable. It has a boost range that goes up to 14 miles which can cross the roughest roads there are. It comes with a powerful engine which makes it suitable and guarantees a long and stable ride. Power engine electrical motor of 2,000 watts with a battery that only takes an hour to get fully charged. Inboard M1 comes with a simple shape with batteries tucked into the board neatly. It has a thin design which makes it less bulky and easy to travel around rough roads very quickly. If you are looking for the fastest electrical skateboard, remember to investigate this. It has a top speed of 22 miles per hours which is enough for you to set blaze through the busy city on your ride. Another fine electric skateboard from WowGo that we cannot help talking about. It comes with a speed that reached 22M/H. It has the capacity of reaching Max Uphill to 30/H. This electric skateboard comes with 6.5” rubber wheels that allow for easy brake control regardless of how high the speed is. Also known as the tiniest eboard available in the market, Teamgee has once again surprised us with this amazing electric skateboard we cannot stop talking about. 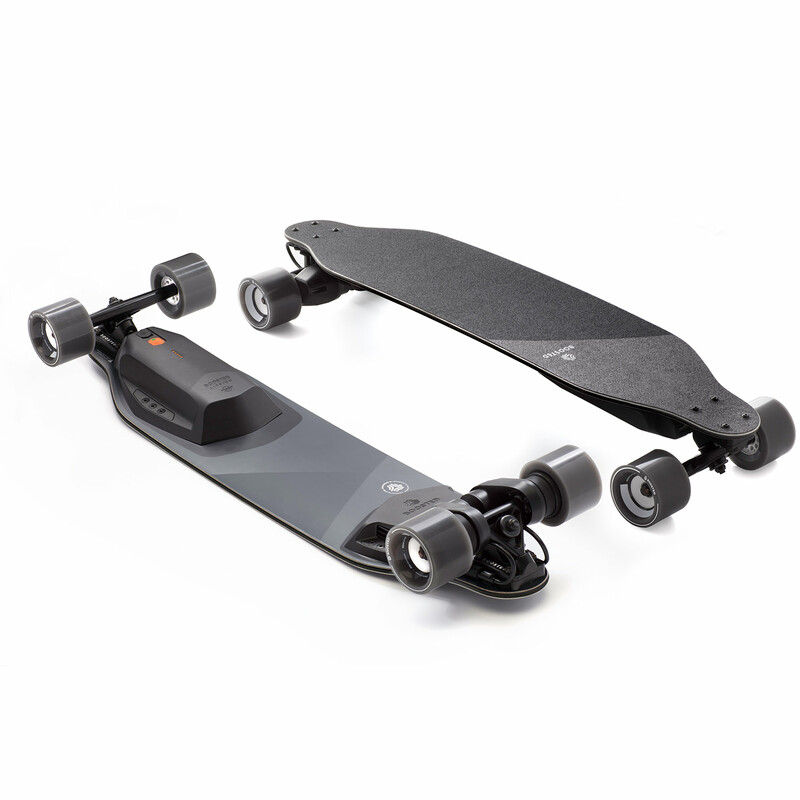 Teamgee electric skateboard has an ultra-think deck that is only 15 mm in dimensions. Weighing only 14.6 lbs it is the perfect electric skateboard that you can carry around if you need as it does not weight a lot. Comes with amazing features that fulfil your requirement of a stable and durable ride. Electric skateboards are fun and add a lot of thrill to our ride however, we all know that accidents are just waiting to happen which is why safety precaution must not be ignored at any cost. Here are some simple and easy tips that one can adapt to enjoy a safer ride. Helmet. This goes without saying. Always remember to keep your helmet with you even when you have forgotten your id card at home. Wear protective gears. It is important to wear elbow pads, wrist gloves and pads to ensure safety. Test brakes before you begin. Remember to carry on regular break function checks so that you can get it fixed in case any issues rise. Know your potential. Do not ride above your skill level. Give yourself some time before you go fast. Do not rush it, you might get hurt bad. Stay away from heavy traffic. It is a good idea to stay safe and not go where the traffic is heavy. Avoid being around trucks. Note that riding uphill at 20 mph should be done only if you have gained the right amount of experience. Being safe is something that we need to adopt in our lifestyle to enjoy fun and thrill all together. Picking the best electric skateboard might not be too difficult if you highlight all the functions you need in your electric skateboard. List down all your requirements and match them with what the brands are offering so that you can enjoy all the features.